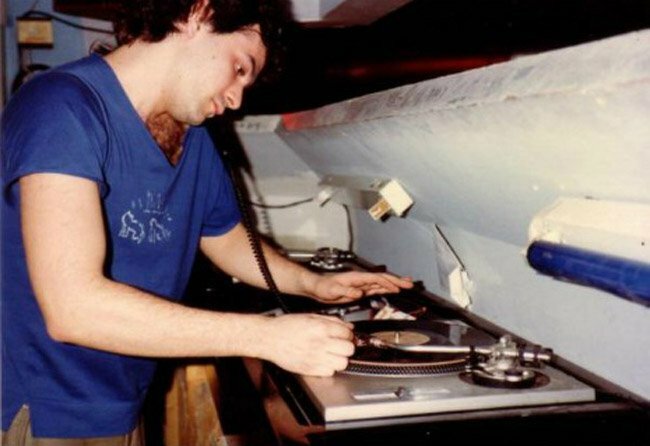 Back in the early ’80s Mark was resident at Danceteria, a key NYC venue, which was a major inspiration for Manchester’s Haçienda. He was famous for ‘discovering’ Madonna (his one-time girlfriend), who he introduced to Seymour Stein, the owner of Sire Records. 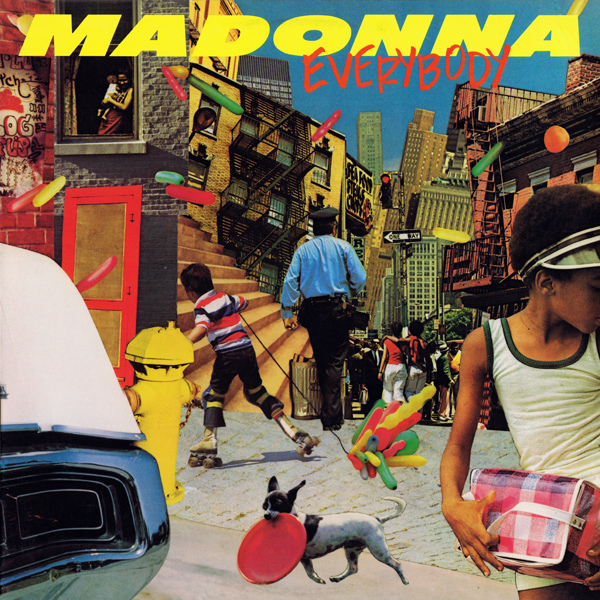 He produced Madonna’s debut single, ‘Everybody’ in 1982, and would subsequently work with many artists over the years, including the Beastie Boys, Sinead O’Connor, and David Byrne. 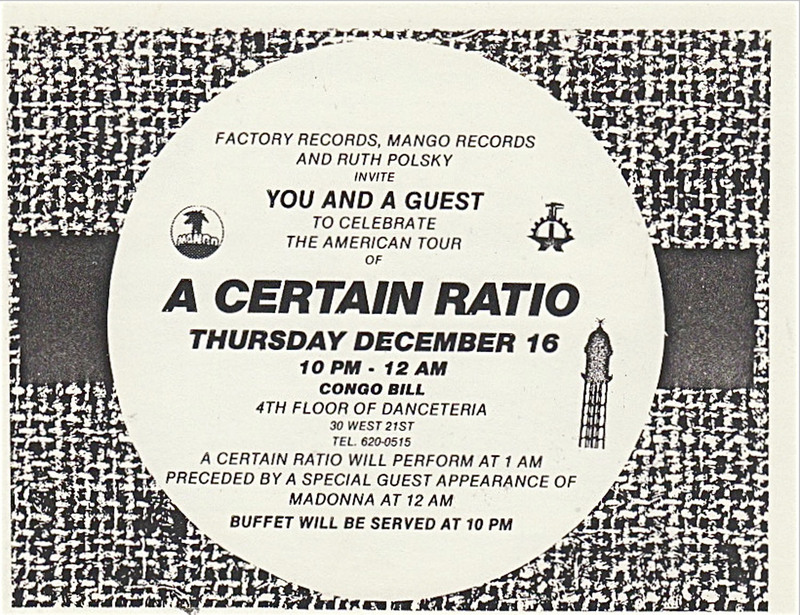 The link between The Haçienda and Danceteria is best illustrated by Manchester’s A Certain Ratio, a Factory band, of course, headlining at the New York club in December 1982, whilst a still unsung Madonna was the support act. ‘Everybody’ was a track I played at Legend – not the full vocal, but the Dub mix. It was only available on import back then, the artist a complete unknown outside of the hipper NYC club community. 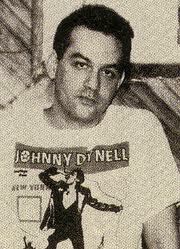 It wouldn’t be until late ’83 that Madonna made her commercial breakthrough in the US, by which point she had another DJ boyfriend / collaborator, John ‘Jellybean’ Benitez. In many respects the weight of his association with such an iconic cultural figure has often seen Mark cast as but a stepping stone in the superstar’s career, rather than highlighted his own vital contribution at this critical juncture in the course of dance history, when he was very much one of New York’s DJ elite. When I started my Friday nights at The Haçienda in August 1983, Mike Pickering, then the club’s booker, and New Order manager Rob Gretton, one of the club’s owners, were always talking in glowing terms about Danceteria and Mark, and it was clear to me that it was the spirit they’d felt there that they most wished to summon in Manchester, Mark combining a mixture of dance and alternative music. It’s testament to Danceteria that Mike and Rob, who had first-hand experience of Paradise Garage, The Loft, The Funhouse etc. held it in such high esteem. Mark had already remixed ‘Love Tempo’, released by Mike’s band Quando Quango on Factory, and would subsequently produce ‘Genius’ / ‘Rebel’ for the band, as well as mixing ‘Atom Rock’ (he also remixed Marcel King’s ‘Reach For Love’ for the label). Mark’s passing will have hit Mike particularly hard, as I know he was both friend and inspiration to the future Haçienda DJ legend. In last year’s blog post, ‘The Haçienda Disco V Fiasco!’ (www.gregwilson.co.uk/2012/04/the-hacienda-disco-v-fiasco/), I mentioned the proposed DJ exchange that was put to me by Mike Pickering and Rob Gretton, where I’d go to New York for a month and work at Danceteria, whilst Mark came to Manchester. The idea never transpired, but the following year Mark did get to play at The Haçienda, and, in doing so, became the club’s very first US guest DJ, a number of years before such transatlantic bookings became the norm. It’s such a shame that he now won’t be around in person for the publication of ‘Life and Death on the New York Dance Floor’, Tim Lawrence’s forthcoming book about NY club culture between those crucial hybrid years of 1980-83, for which Mark was a key interviewee. However, he’ll certainly be around in spirit, the book serving to enhance his legacy and bring his name to a new generation of enthusiasts. Fascinating stuff Greg. Thanks for posting. Sad news Greg. Thanks for sharing your perspective. As you know, I discovered Mark’s work only recently, through investigating the Disco V story at The Hacienda, and talking to Hewan Clarke. I’m really sad to hear this news. The ‘Everybody” dub and the original has been a staple tune at many of my house parties and after party shenanigans over the years. Amazing write up for an amazing man. Thanks for the link to The Tube clip Dan, I’ve added it to the piece. I had a different link that I’d planned to include, but when I clicked on it to check it was still active it’d be taken down – so it’s good you’ve found this one. A nice tribute Greg. I interviewed Mark when he did the United House Nations Project in the late 80s and he was a lovely fella. Very sad to hear this news. God bless you Mark and thanks too Gregg for filling in an important historical gap in music history. 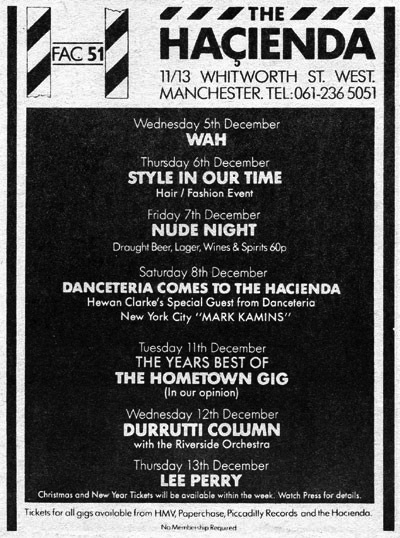 The Hacienda was the beginning for me too and my very first music venue. Would have loved to have experienced the NYC scene. Thanks again. Thanks, Greg – Danceteria was my home back then, and Mark was its leader. My time spent listening and dancing to his music have probably done more to mold my musical world than anything else I’ve experienced. Loved reading this Greg … defo filled some blanks for me. really imformative… I still play Mark’s vers of Quando Qaungo and will continue to do so … RIP Mark.